Texas doesn’t have any law that makes online poker legal in the state but Texas residents will be able to play online gambling very soon. 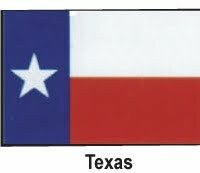 In 2013, Texas have offered online poker bill for making online poker legal in the state. Lawmakers are taking very sensible decision by making online poker legal because people were proactively putting pressure on the lawmakers. Online poker also have great chances of becoming legalized because there is supporter at federal level (Rep. Joe Barton) who is putting lots of efforts for legalizing online poker throughout the nation with Internet Poker Freedom Act of 2013. This was the step that all the online poker lovers were waiting for and now they can enjoy their favorite game in the entire country, legally. This bill is on the president table and it is expected that it will be signed by the president very soon. But states have the choice to keep their citizens away from the online poker as per the bill. The online poker bill (state level), House Bill 3529, which is sponsored by Rep. John Kuempel have ensured that Texas should not opt out of the Internet Poker Freedom Act, in case it makes through the congress. This bill is the result of persistent efforts of Barton and he is very hopeful that Texas people will play online poker very soon. All the things won’t be smooth as there are many people that are opposing but Republican Party lead by Gov. Rick Perry has putted lots of pressure on the lawmakers to stop the bill in 2009 that would have given way to the seven dog tracks and horse tracks as well as online poker. Poker Gaming Act is another bill that lawmakers will consider that is offered for making poker legal by the tracks and Indian Casinos of Texas. The Texas Lottery Commission would manage all the activities of poker, if that bill is passed. Another poker bill is also introduced for making online poker legal for charity events. It is very clear that Texas Senators only meet after two years and before 2015, it is impossible to say what is going to happen in further future. It is really hard to even think that Gov. Perry won’t give permission to Texas residents that they should play online poker, if their fellow party members satisfy the dysfunctional congress. At present, there is no bill that can make online poker legal in the Texas and it won’t happen until 2015 for sure. If Internet Poker Freedom Act of 2013 is passed by the president then there are great chances that Texas citizens will be playing online poker legally in 2015. But if the federal law is not applied then it comes to the state lawmakers to create online poker law. It is clear that many lawmakers are in favor of making online poker legal in the Texas but until 2015 they can’t do anything. Keeping all the facts in mind, it is impossible for the people of Texas to play online poker legally before 2018.